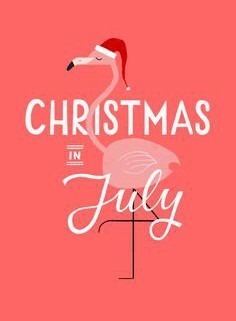 Christmas is actually in July…who knew? Christmas is in July. Everyone knows this is the answer; that is if you work in the consumer PR sector or are indeed a lifestyle journalist. Lead times of glossy magazines are arguably getting shorter but they still work to a three month (ish) deadline. The Christmas coverage starts in October therefore you need to showcase your festive offering in July. Sourcing a Christmas tree in July is no mean feat I can assure you, and standing around it with a warming glass of sherry and mince pie in sweltering heat isn’t as enjoyable as when you are wearing your Christmas jumper on 25th December! https://www.majorpr.co.uk/wp-content/uploads/2016/07/d8e0ae42ff0d096bc55c9e4bc333c3ff.jpg 330 236 Vicky Major Https://www.majorpr.co.uk/wp-content/uploads/2015/06/MajorPR_Services_logo.png Vicky Major2016-07-28 13:54:462018-01-26 12:00:08Christmas is actually in July…who knew?